A super cute back to school book + otter guided drawing art project! 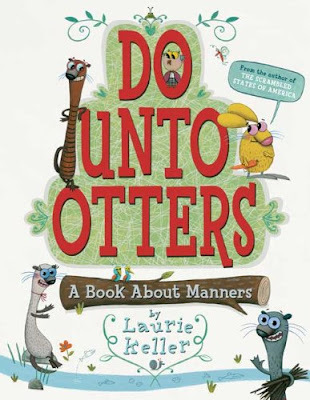 Elementary teachers can use Do Unto Otters as a read aloud to set up classroom rules and expectations. Then have students create otter guided drawings with the steps given below. This would make a perfect yearlong bulletin board display for 2nd & 3rd grade classrooms. If you’re looking for a new book to start out the year, or need to update your classroom rules, check out Do Unto Otters! It’s super cute and witty, and you’ll laugh all the way through while you attempt to explain to your kidlets (who will most likely be staring at you like you’re crazy) why the little things the otters say are funny. If you haven’t seen it, or don’t own it, click HERE or on the pic for the Amazon affiliate link. If you have time for a fun art project to go along with the book, try this otter guided drawing. All of the otters ended up turning out pretty dang cute, so we used them as an all-year bulletin board display around our otter themed classroom rules. 1. Start in the middle of your paper. Draw 2 vertical lines 2 inches apart. Stop at the bottom of your paper. This will be the otter’s neck/body. 2. Draw a lightbulb shape at the top of the 2 lines. This will be the head. 3. On each side of the lightbulb shape draw a curved rainbow/frown line. These will be the ears. 4. Draw 2 large circles in the middle of the lightbulb shape. These will be the eyes. 5. Draw a smile line between the two circles you just drew. This will be the nose. 6. Draw a rainbow/frown line in each of the large circles and in the nose. 7. Make a large dot in each of the football shapes in the eyes. These will be the pupils. 8. Draw a large crescent moon shape under the nose you created. This will be the smile. 9. Draw 3 curved lines on each side of the head close to the smile. These will be the whiskers. 10. Draw a moon shape on both sides of the body. These will be the arms. 11. Finish your otter with hands, teeth, stripes, fur, and color! I think the results were SUPER cute! Plus, it was QUIET and NO ONE CRIED (shocking!). On the first week that’s what we call SUCCESS. Try reading the book Do Unto Otters during your first week back. It would work wonderfully in grades K-3. Let me know if you try out the guided drawing. I’d love to see your cute otters! That book was picked as the Michigan Reads books this year. The author is from Muskegon and making a tour around the state. I haven't ever read it, but I'm going to. Your otters are adorable! I am heading on over to Amazon to put the book in my shopping cart. How cute! I will definitely incorporate the directed drawing this week. I have the book in my plans, but I'm so glad that I found your cute idea. Thank you! 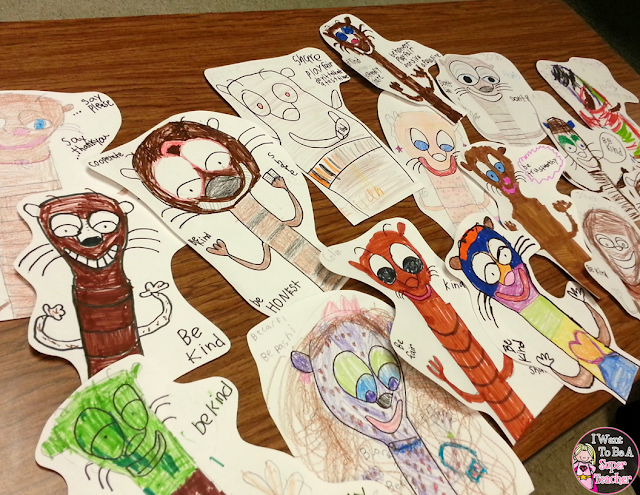 We are doing manners for the month of October. We watched “Do Unto Otters” on You Tube and I saw your directed drawing and we are going to do it and write I “Otter” Show Good Manners by…. CUTE IDEA. Thanks. I hope they turned out super cute Lorrie! Thanks so much for your comment!